72th release of GALAXY RECZ is “For Beautiful Days EP” by Takashi Sasaki (from Converge+)!! “For Beautiful Days EP” consists of three original tracks. All tracks are Progressive House like a Melodic Techno or a Melancholic House. They feature Piano, Synth, Fernandes Guitar sound. “Flowers” original mix iz very hot!!! Great release! I will try it, thanks! 3 deeply melodic tunes for the 3am moments. Sensational release to me, congrats, thanks a lot. Thank you for sending promos, We are downloading for Ryoji Takahashi. Under The Moonlight (Original Mix) is nice. Beautiful tracks !!!! Amazing release! 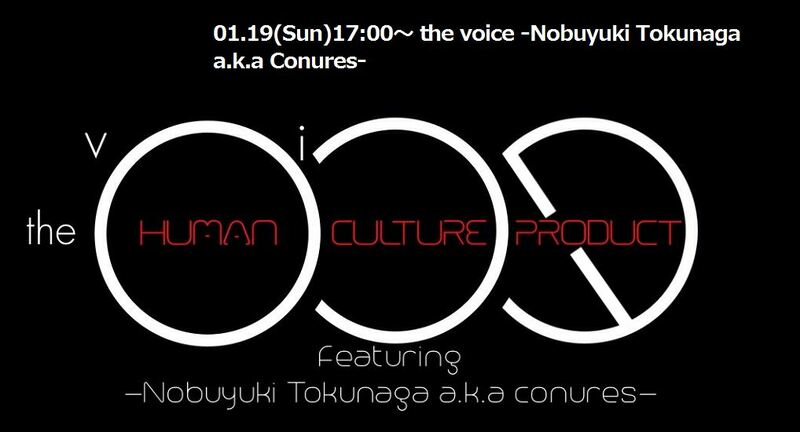 C-les Stream presents [the voice] -Nobuyuki Tokunaga a.k.a Conures & Shingo Nakamura!! 第2回目はDJ/Producer -Nobuyuki Tokunaga a.k.a. Conures- をフューチャー! !